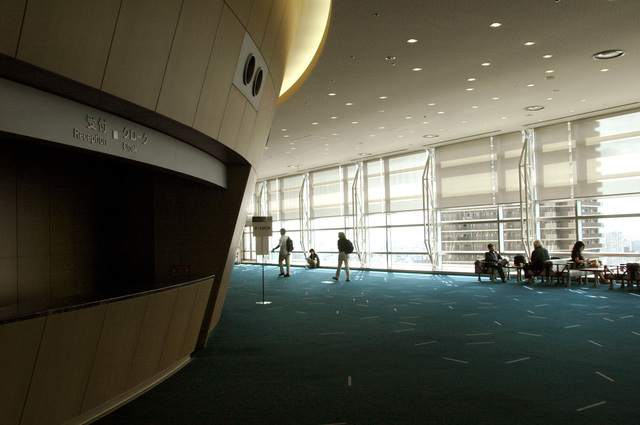 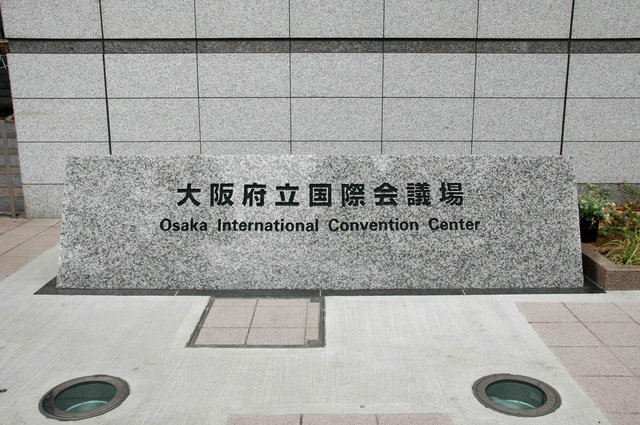 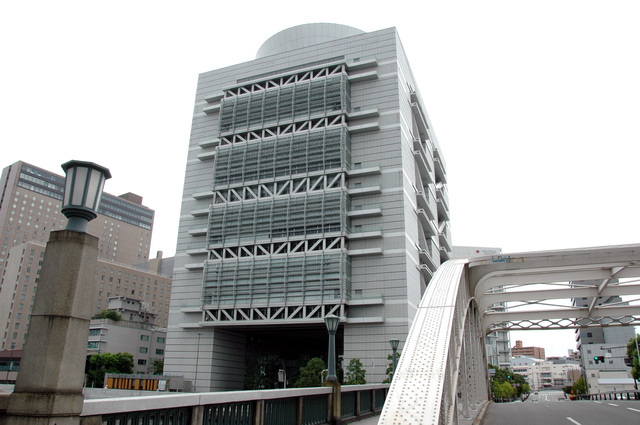 Osaka International Convention Centre (Grand Cube Osaka). 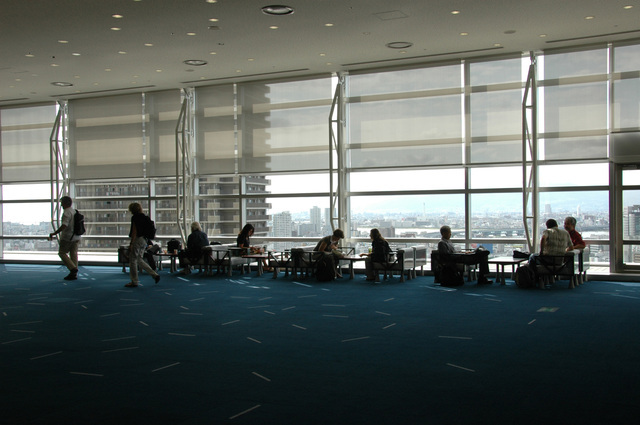 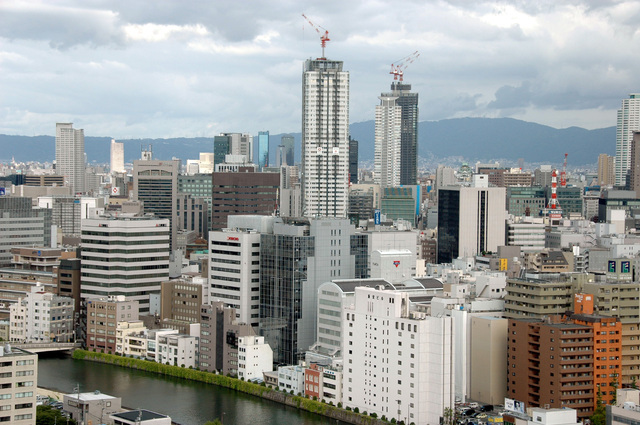 View of Osaka from Osaka International Convention Centre. 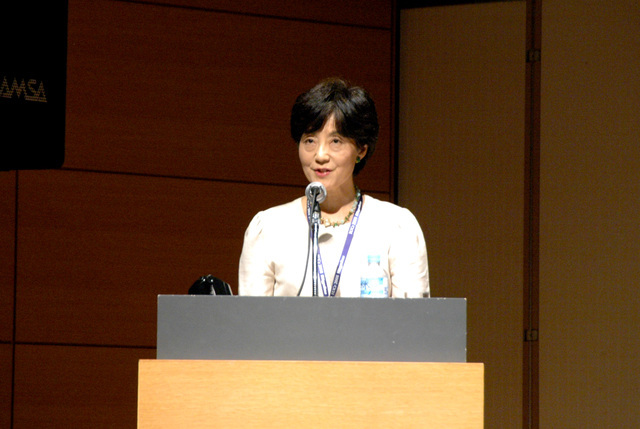 Reiko Kuroda reading a Congratulatory Address from the Prime Minister of Japan. 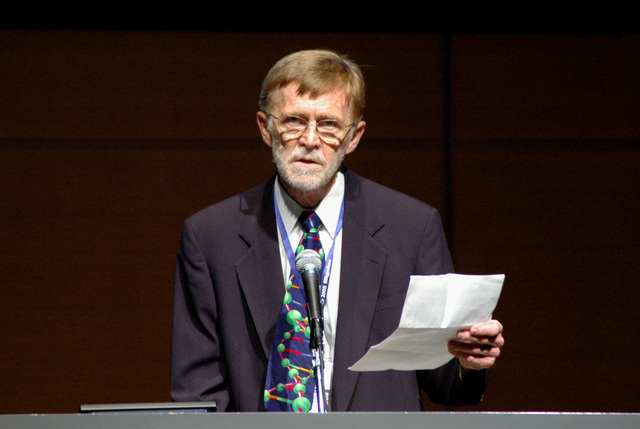 Professor B. R. Henry, Vice-President of ICSU (International Council for Science), describing the role of Union members in implementing the ICSU Strategic Plan. 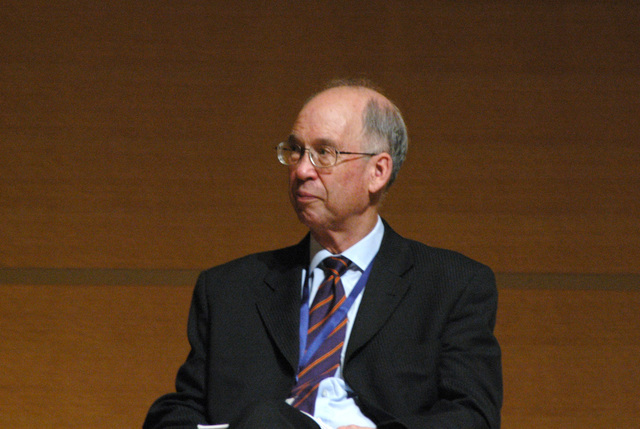 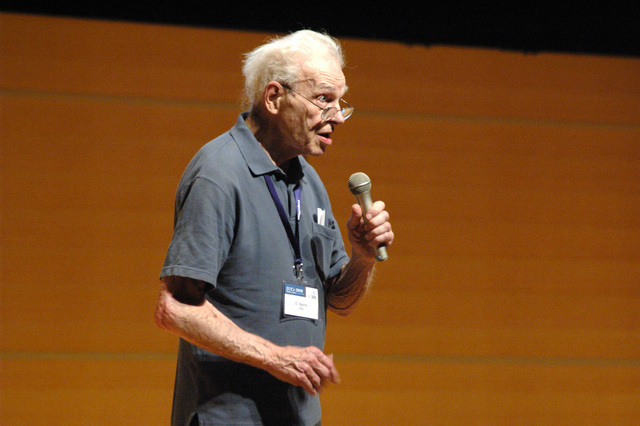 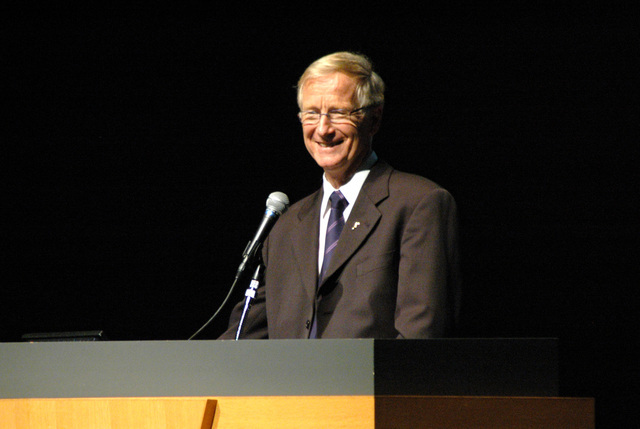 IUCr Past President Bill Duax. 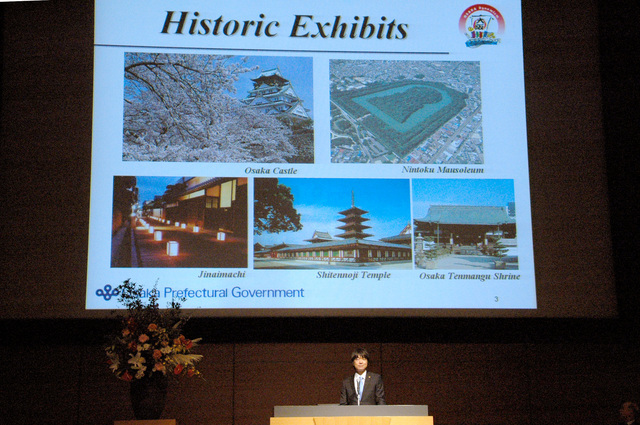 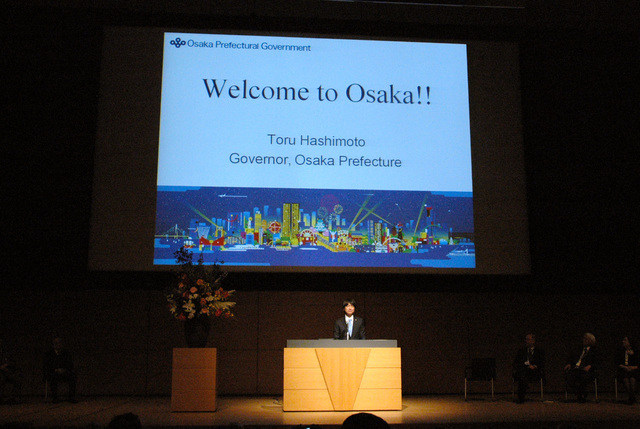 Welcome by the Governor of Osaka Prefecture, Toru Hashimoto. 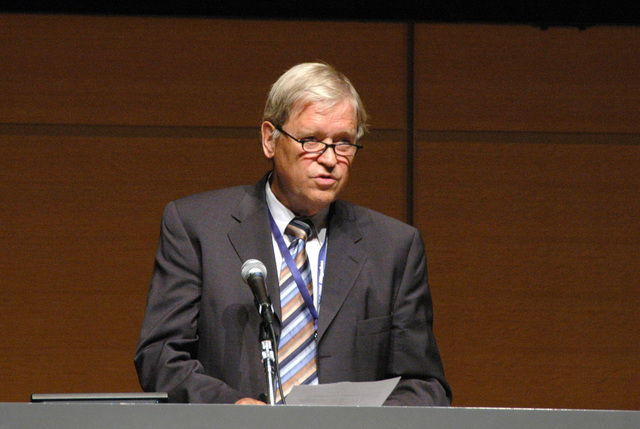 IUCr Past President Henk Schenk. 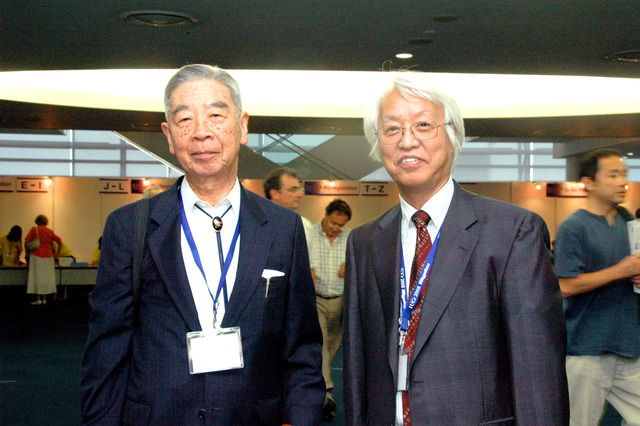 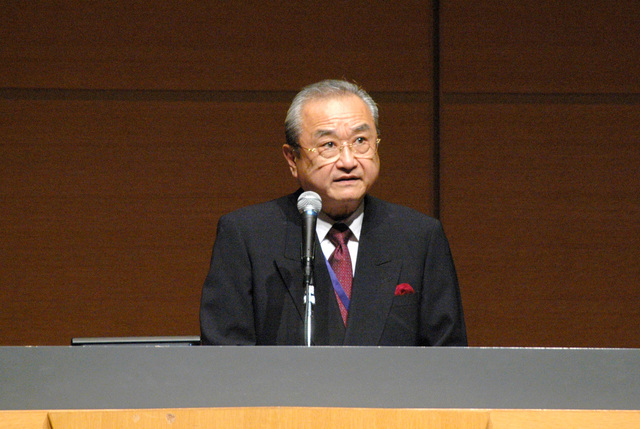 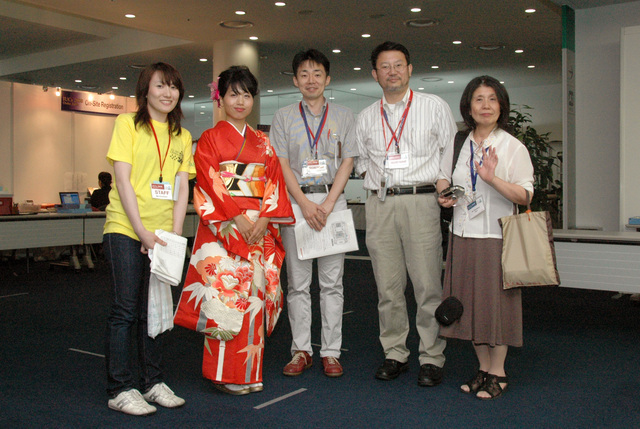 Professor Akio Takenaka, President of the Crystallographic Society of Japan. 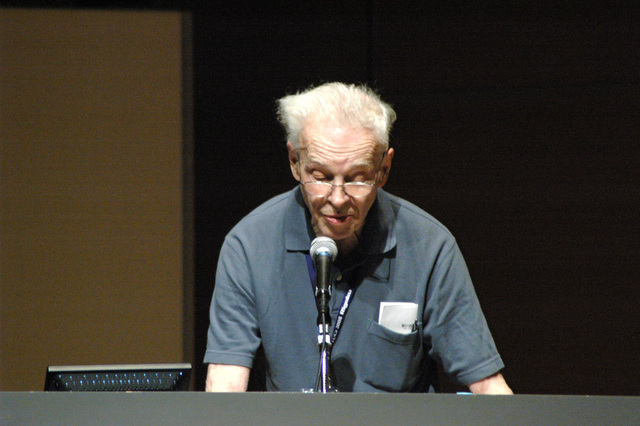 David Sayre presenting the Ewald Prize Lecture. 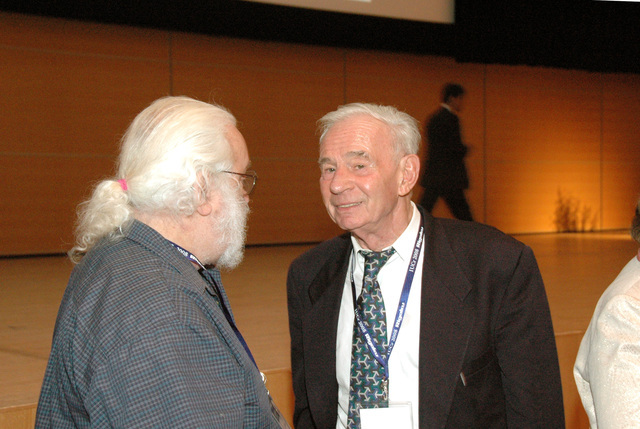 David A. Shapiro, David Sayre. 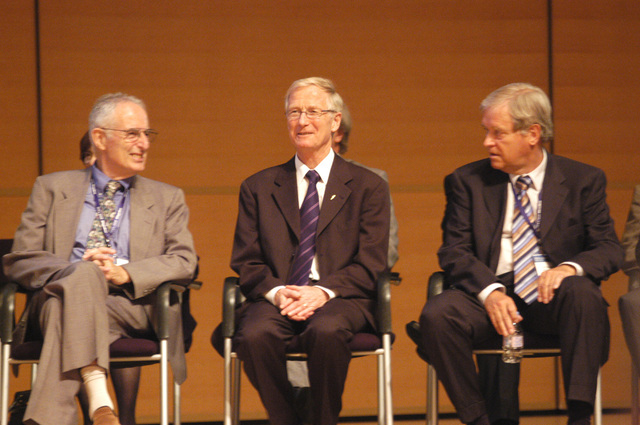 Philip Coppens, Ted Baker, Henk Schenk. 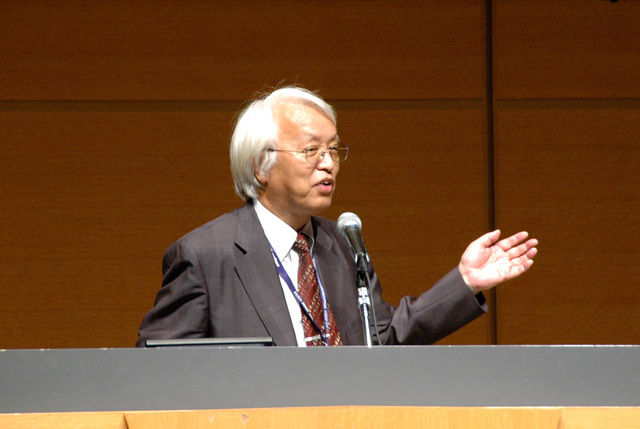 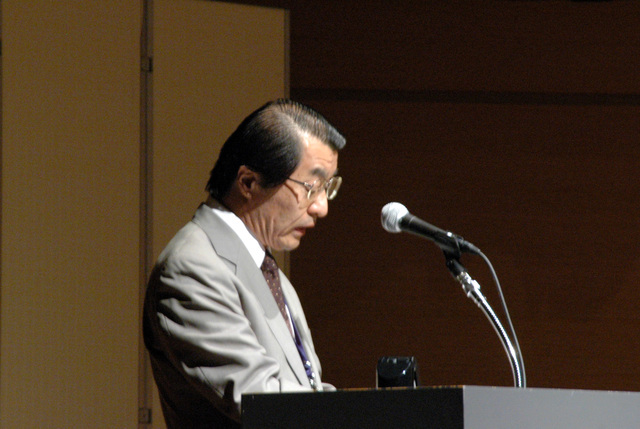 Norihisa Doi, Vice-President of the Science Council of Japan. 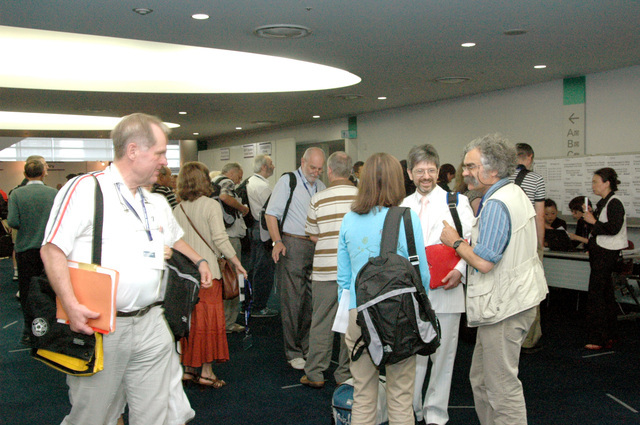 Peter Colman (part obscured), Mike Dacombe, Gautam Desiraju, Malcolm Cooper, Chris Gilmore, Gernot Kostorz. 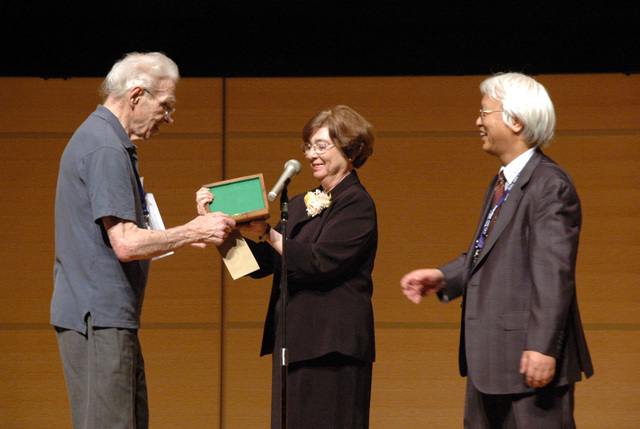 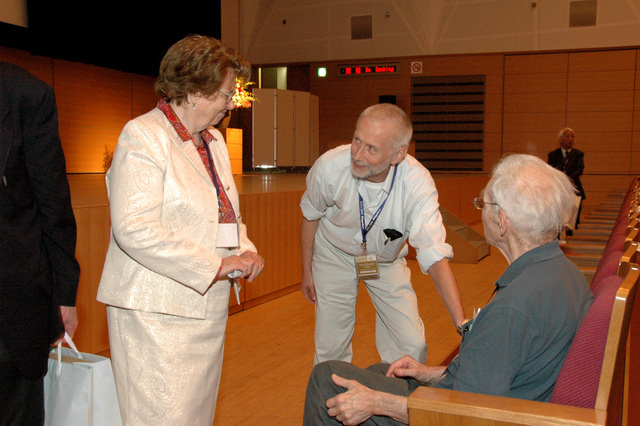 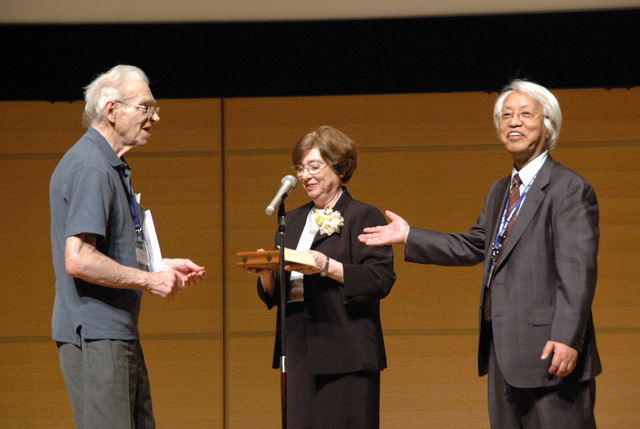 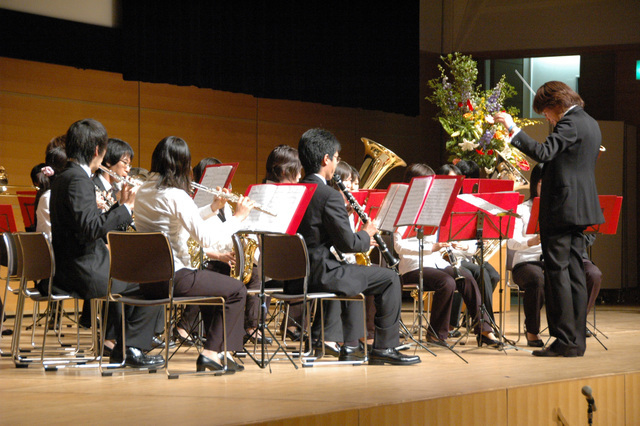 David Sayre, Iris Torriani, Yuji Ohashi. 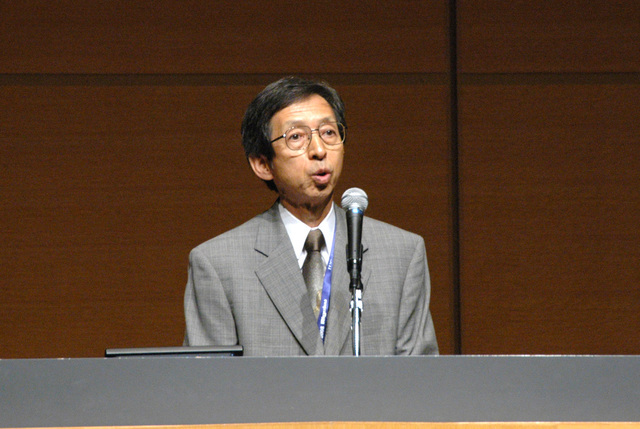 Tomitake Tsukihara, Chair, Local Organising Committee. 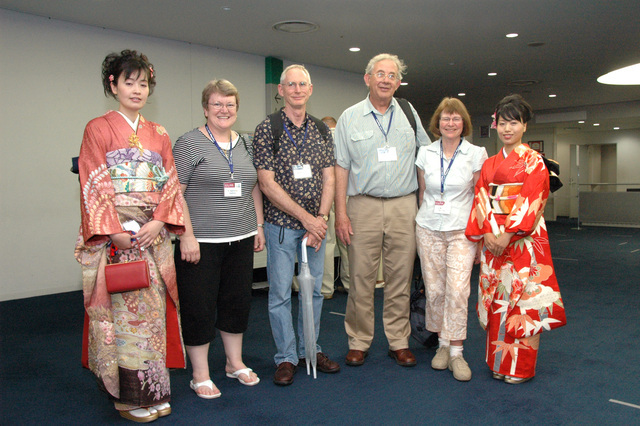 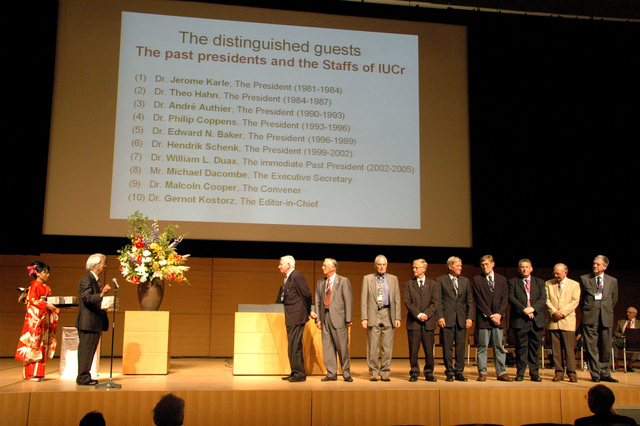 IUCr Past Presidents and Executive Committee. 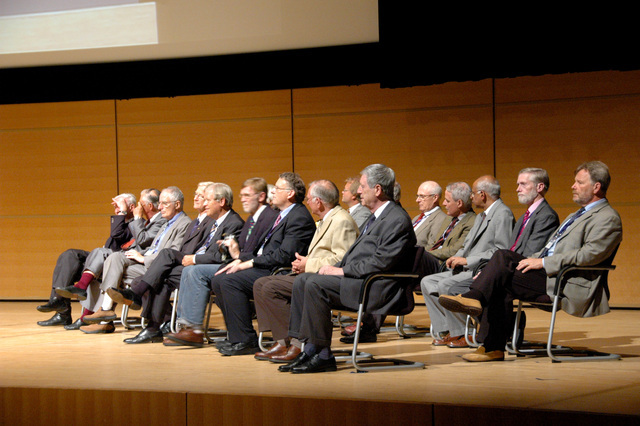 Front row: Theo Hahn (obscured), André Authier (obscured), Philip Coppens, Ted Baker, Henk Schenk, Bill Duax, Mike Dacombe (Executive Secretary), Malcolm Cooper, Gernot Kostorz. 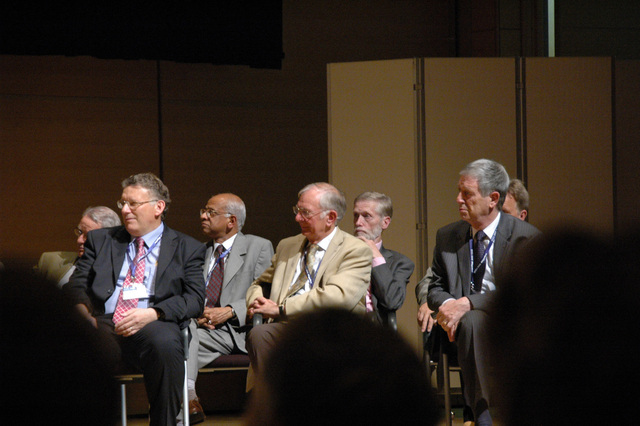 Second row: Yuji Ohashi (obscured, between Bill Duax and Mike Dacombe), Sven Lidin (between M. Cooper and G. Kostorz), Davide Viterbo, Peter Colman, Gautam Desiraju, Chris Gilmore, Claude Lecomte. 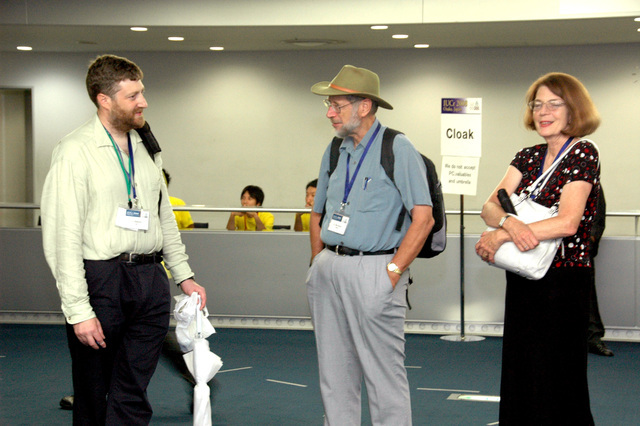 Jenny Glusker, Mariusz Jaskolski, David Sayre. 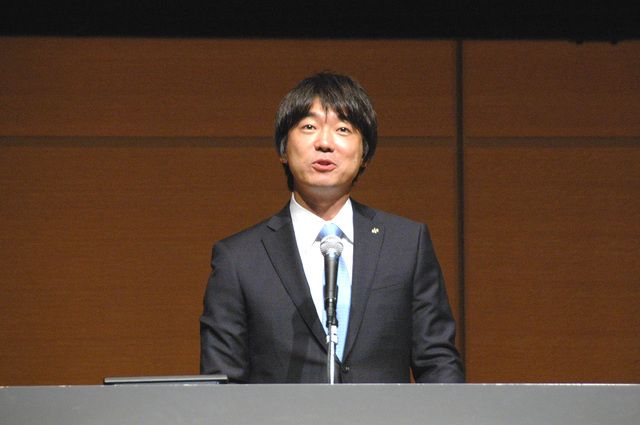 Professor Satoshi Sasaki, Chair of the National Committee for Crystallography of the Science Council of Japan, congratulates the IUCr on its 60th anniversary. 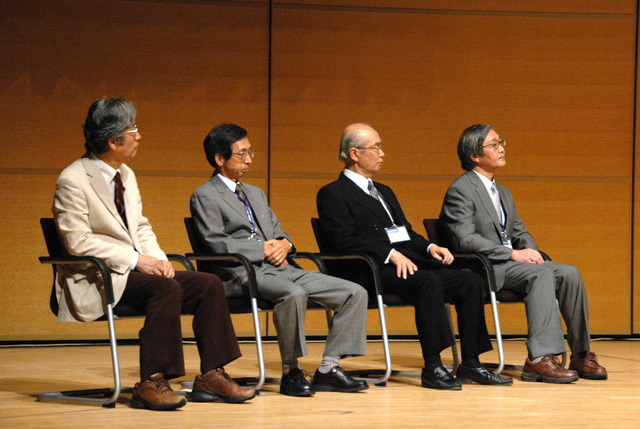 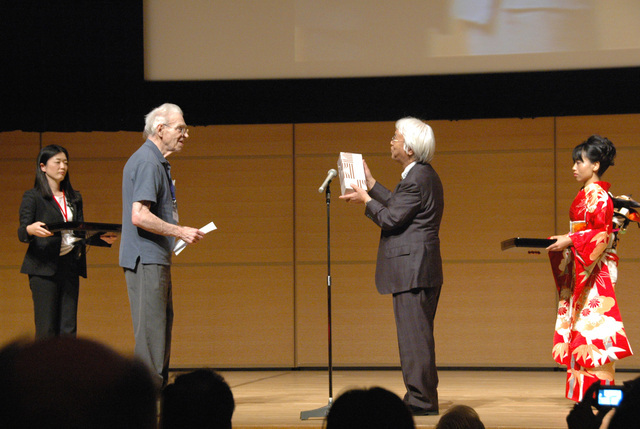 IUCr President Yuji Ohashi presents gifts to Theo Hahn, André Authier, Philip Coppens, Ted Baker, Henk Schenk, Bill Duax, Mike Dacombe, Malcolm Cooper, Gernot Kostorz. 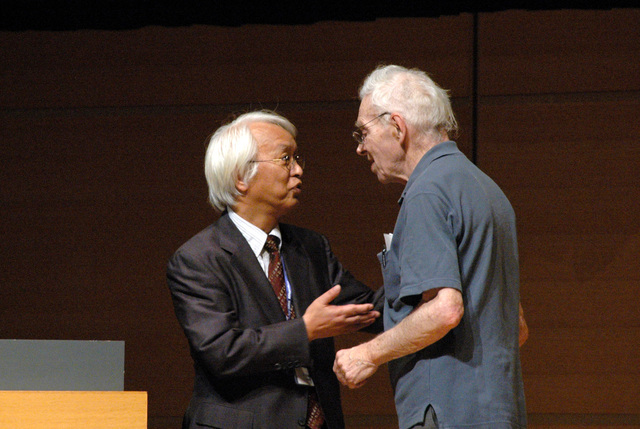 Ewald Prize Awardee David Sayre receiving a gift from IUCr President Yuji Ohashi. 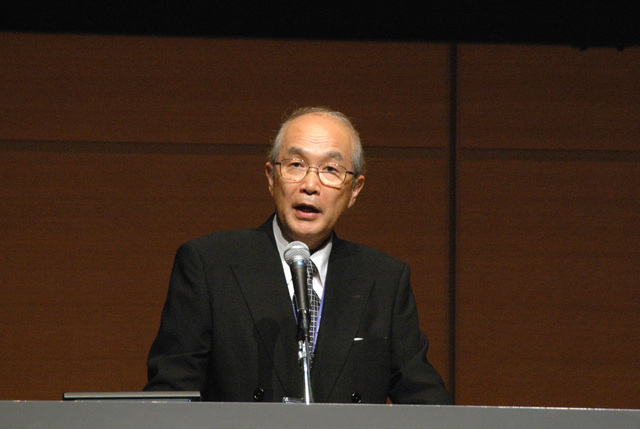 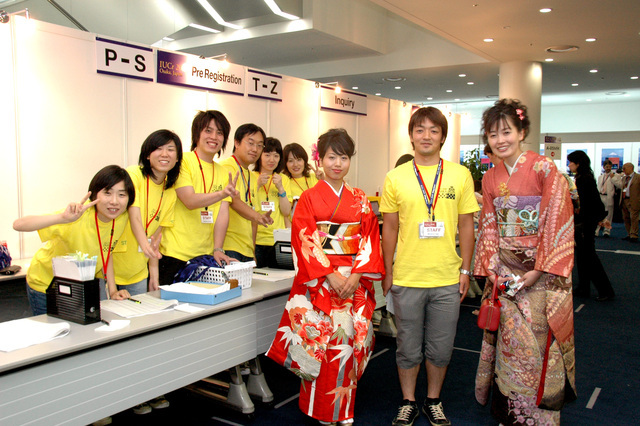 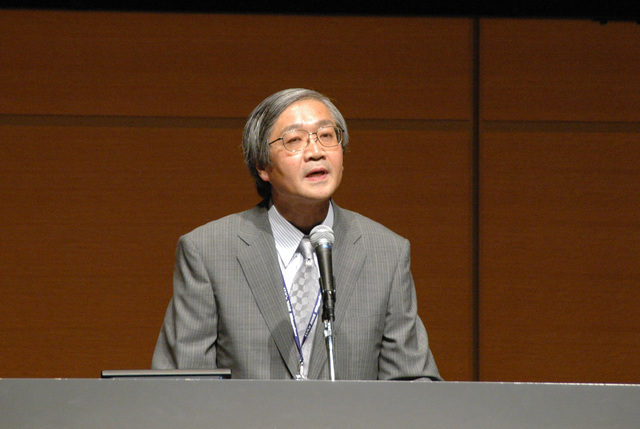 Professor Yasuhikoi Fujii, Chair of the International Programme Committee. 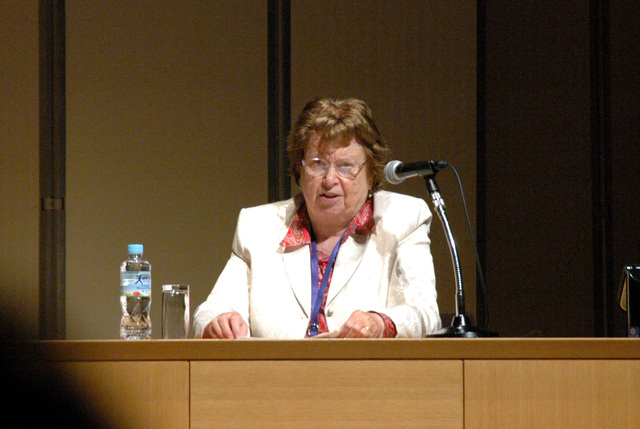 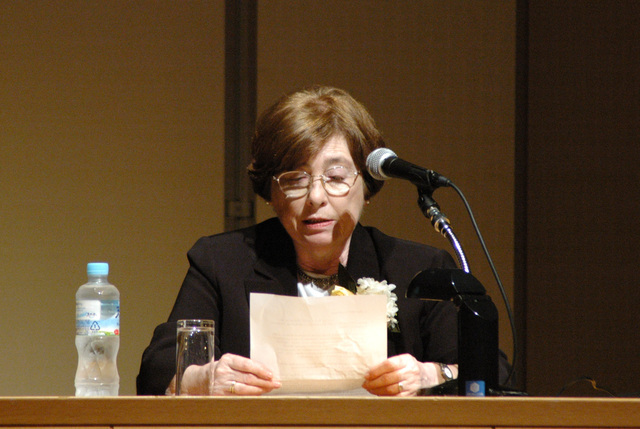 IUCr Vice President Iris L. Torriani. 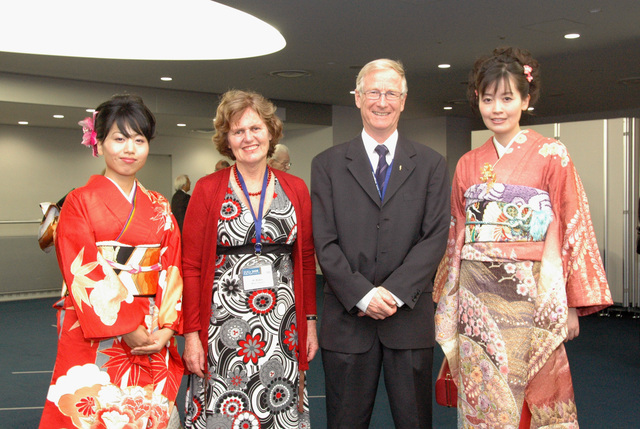 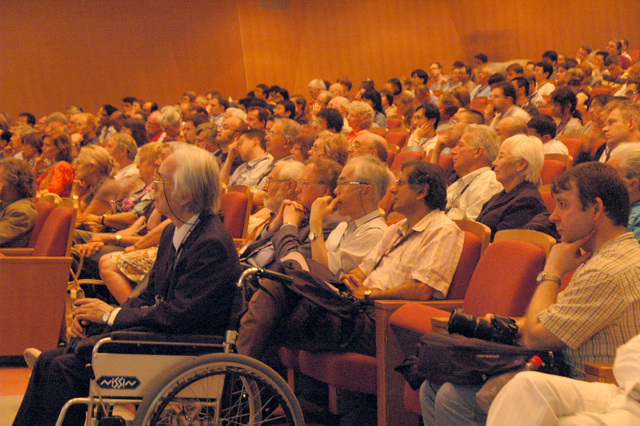 IUCr Past President Ted Baker presenting the Commemmorative Lecture 'Crystallography and the World Around Us'. 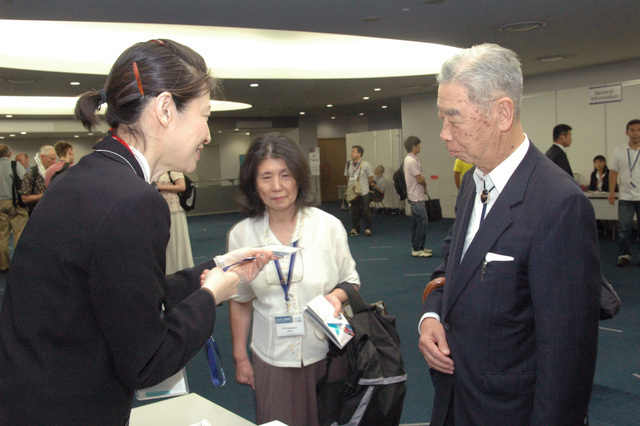 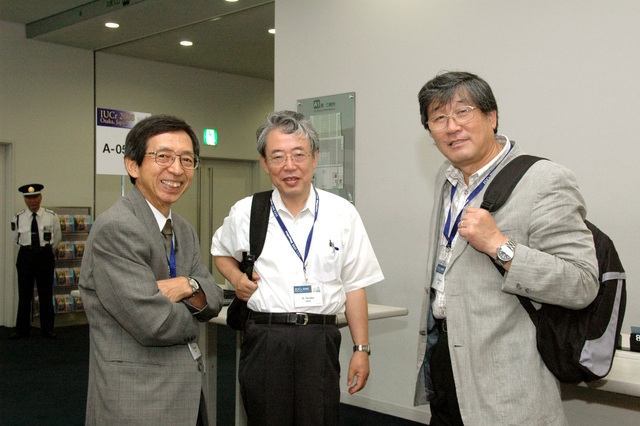 T. Tsukihara, K. Tanaka, K. Ohsumi. 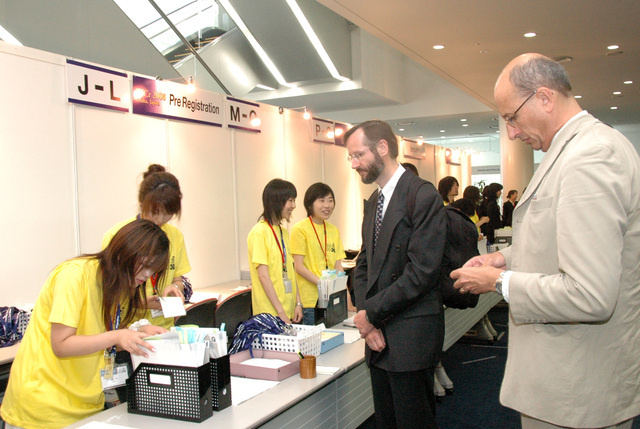 Front right: J. L. Hodeau; second front right: M. Nespolo. 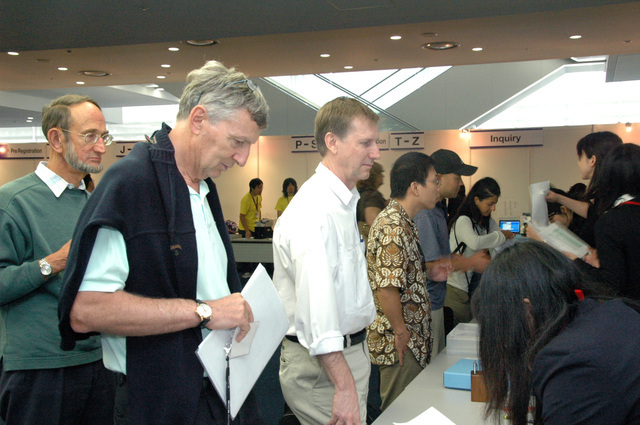 From left: Dieter Schwarzenbach, Gervais Chapuis. 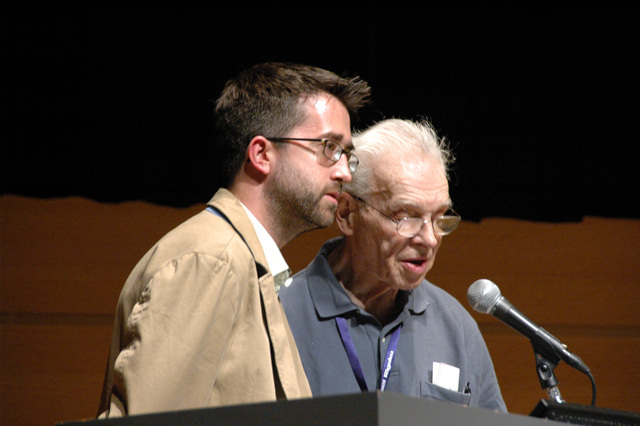 K. and M. Spackman, ?, ?.